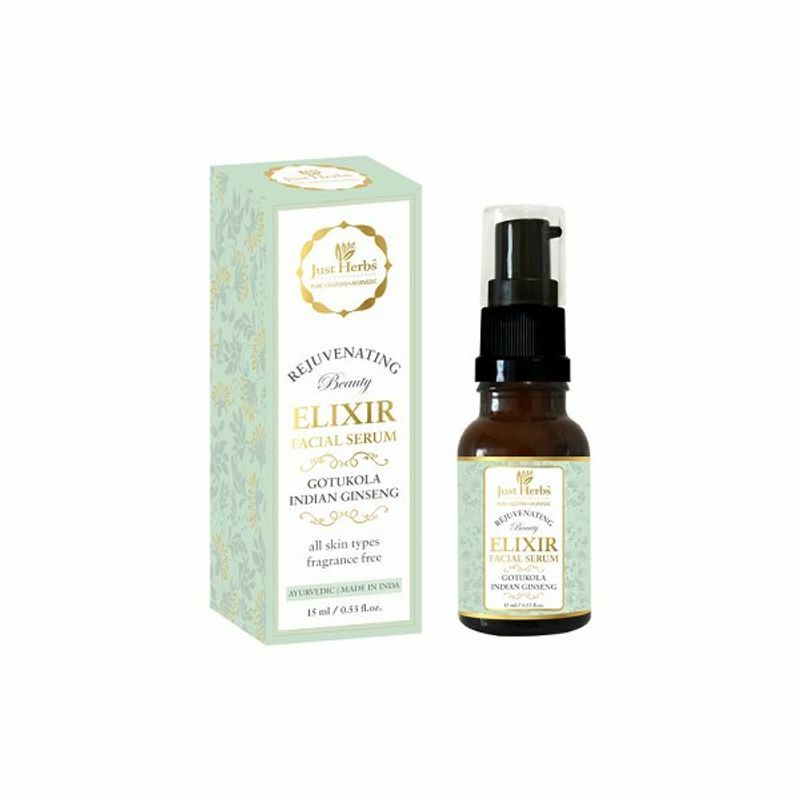 Gotukola Indian Ginseng Rejuvenating Beauty elixir is a multi-tasking Elixir facial serum is a synergistic blend of treasured Indian herbs. It nourishes and restores a natural glow and youthfulness to tired, ageing and pigmented skin. 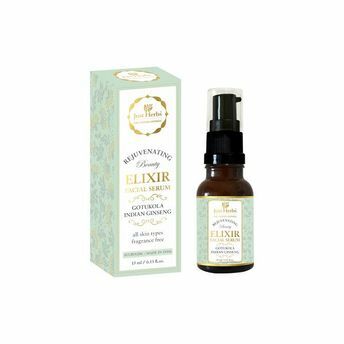 Plant polyphenols, carotenoids, and flavonoids present in the Elixir of beauty prevent and reverse free-radical and DNA damage on the skin. This also blocks the inflammatory changes which happen during the skin ageing process. Facial Serum is a lightweight, non-greasy product that isn't a lotion or a cream. Always apply it to your skin after cleansing but before applying the moisturizer. Use a few drops during the day or before bedtime. You can also apply it before applying Just Herb's creams or gels to boost their effect. Always use Elixir at night. Cold pressed oils of Rosehip, Wheat germ, Safflower and Moringa seeds are natural sources of Vitamins A, C and E. Furthermore, extracts of Indian Senna are a botanical alternative to Hyaluronic Acid (for fine-line filling and intense moisturization). Liquor ice root and Nagkesar form a perfect harmony adding lightening, brightening, and skin nourishing properties to this serum.